The Housing Department is responsible for looking after the housing sector in the state. There are various housing schemes formulated and implemented by the state government. It is the function of this department to engage in all the co-ordination of these housing schemes. The Kerala State Housing Board is governed by this department. The Kerala State Housing Board (KSHB) was established in 1971. They direct and plan the preparation and execution of housing schemes in the state. The functions of the Board is operated by the Director Board consisting of a Chairman, government appointed officials and non officials nominated by the government. The head office of the Housing Board is at Thiruvananthapuram and has 39 offices. It includes 3 regional offices, 14 division offices, 2 project divisions and many branch offices. The topmost institution among the housing sector is the Kerala State Housing Board. The main aims of the Board include implementing housing schemes, formulating housing loans etc. The housing loans for different income groups have to be taken into consideration. The other functions include improvement schemes, government directed schemes and deposit work. Earlier in 1980, the Board has launched an Advance registration scheme in various centres in the state. The public can register for house plots with building in advance by depositing an amount based on their needs. This enables the Board to provide the public with their demand and formulate housing schemes by acquiring land in bulk. The Board decided to acquire the necessary land to satisfy the registered people within a period of three years. After reviewing in detail about the progress of this scheme, the Board decided to discontinue it. They have also decided to start a new registration scheme in areas where demand for house is more. Total Housing Activity Reconciliation And New Generation Application Management popularly called as THARANGAM is a web based software developed internally for The Kerala State Housing Board. It makes the various internal procedures easier to carry out and provide effective service to their customers. It can also provide details of the customers and resolve their complaints. The first phase of this has been already installed in all the KSHB offices. The various modules covered under this are Financial Accounting system, Revenue recovery system, rent management system, Pay bill and KSHB –PF system. The Kerala government has launched the one lakh house scheme where houses are constructed and distributed for the poor. Each family is to be provided with a house with 2 rooms and a kitchen. The target was to construct 96000 houses with the aim of providing 100 units in 960 panchayats. As these houses were constructed around three decades back, the condition of those houses is pathetic and requires maintenance. So the KSHB has proposed plans for renovating the damaged houses. A scheme has been proposed for renovating the one lakh houses. The renovation cost for each house is about Rs 50,000. The scheme also includes converting broken down houses twin houses into single units and reconstruction of single houses. 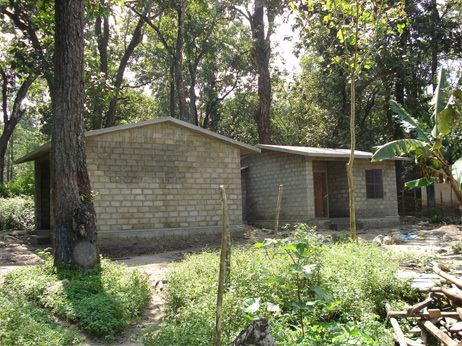 The government has proposed schemes for constructing houses for the tribes in Wayanad. This includes the construction and distribution of around 270 houses for the tribes in Sulthan Bathery in Wayanad. The construction cost for each house is Rs 90,000. 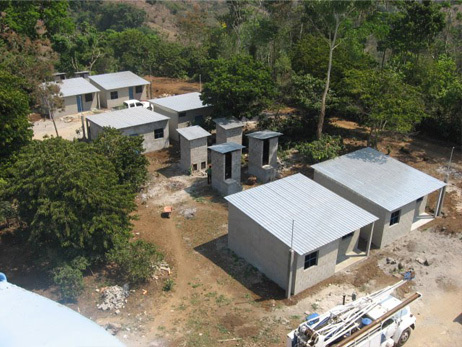 These buildings are completed and distributed to them. This scheme includes providing financial help to the economically weaker section in the society. Those who are eligible for getting this help are selected and financial aid is given to them for constructing a house if they own atleast 2 cents of land. The cost given for each house is Rs 30,000. Now the Board has proposed a new Suraksha scheme where the cost for each house is Rs 1,00,000. Under this scheme, The Board has planned to construct around 2000 houses during the next year. Kerala State Nirmithi Kendra (KESNIK) is an agency which is engaged in the propagation and promotion of various techniques in house construction. They generate innovative ideas in the field of house construction. They have 12 production centres all over Kerala. Their objectives include to co-ordinate and monitor the activities of the Nirmithi Kendras, to provide guidance to the government regarding housing concepts, to select required technology for dissemination, conduct training programmes for the workers regarding the various buiding construction skills etc.